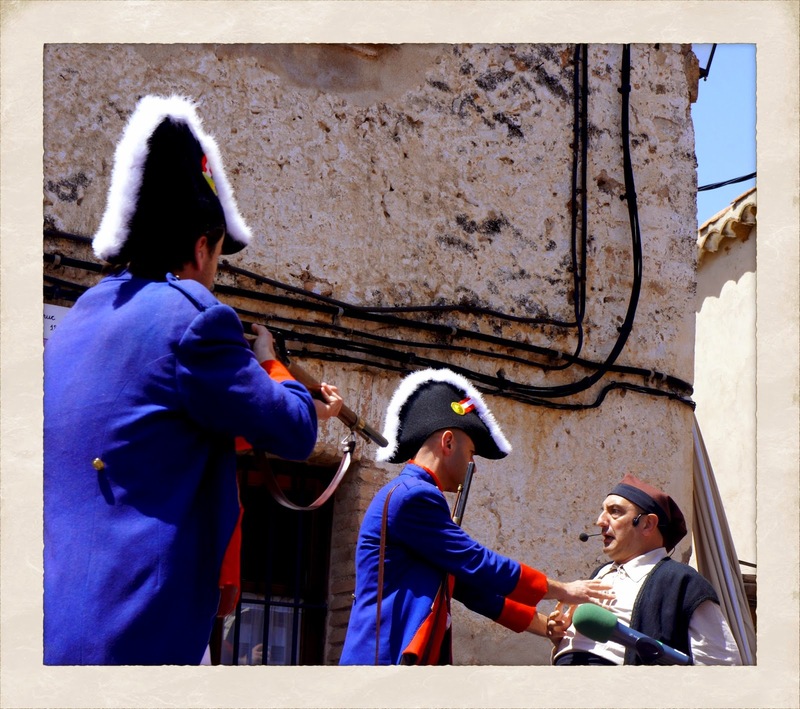 About a week has passed in Catalunya, I’ve been up Montserrat Mountain to the abbey and experienced an El Bruc festival. The abbey is Benedictine and a major pilgrimage and tourism destination to visit a Black Madonna. It is an experience to look out over a congregation gazing up at the statue. People crying, people chatting, people shushing, people checking their phones. 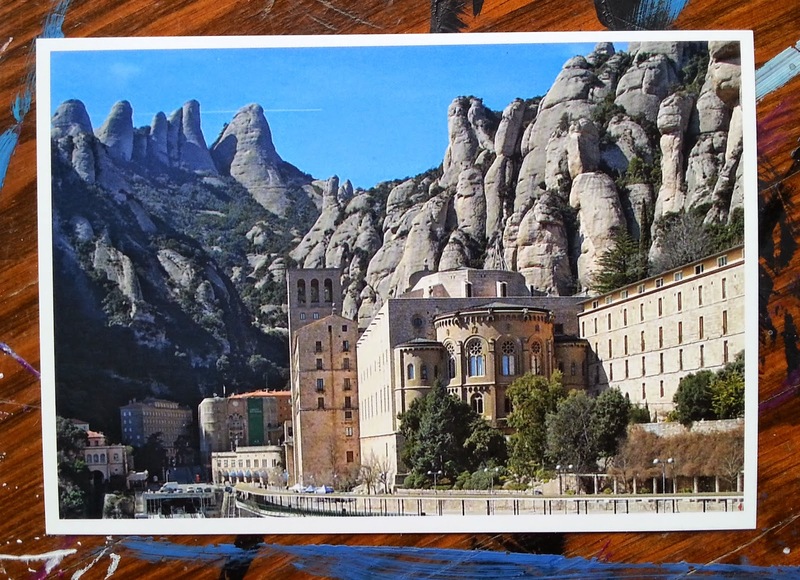 I’ve sent a postcard off with some of the feeling of the monastery written onto it. The abbey has a museum holding artifacts from the Middle East, as well as artwork by Salvador Dalí. The work they have by Joan Miró is travelling as part of a touring collection of the 100 best works from the abbey museum. 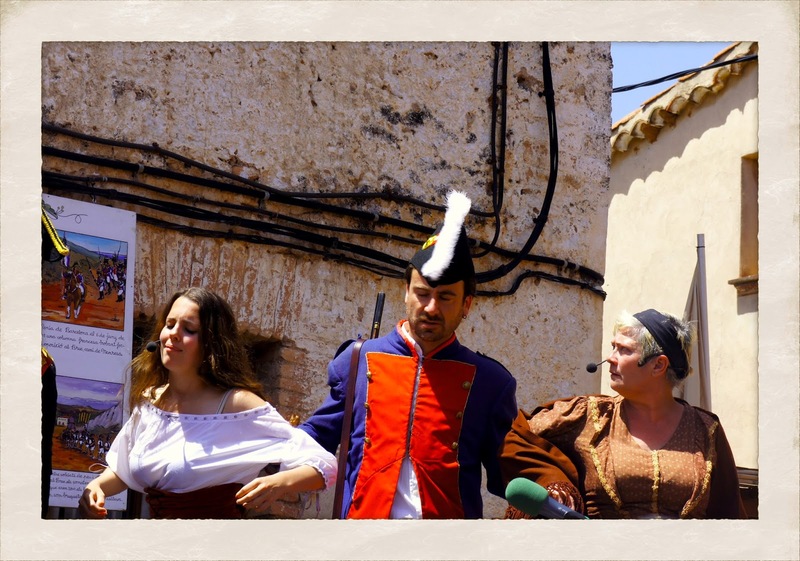 This weekend was the Drummer Festival celebrating the legend of the French army fleeing from El Bruc due to a local drummer boy who made the French think a huge Catalunyan army was descending upon them. The festival opened on Saturday evening with drumming teams in a grand procession down the main street, the locals in orange were chaotic and led by a drummer with a red mohawk. Three teams visiting from nearby towns also took part, they were purple, yellow and blue. I was asked where my vote went, it went to blue. They were having the most fun with their small team. I don’t know if there was a winner, I hope so. Sunday had the French army invading the town. There was an evil French general who had excellent crazy eyes. And who ordered his soldiers to steal the daughters and wives of El Bruc and threaten them with execution. And then threaten their fathers and husbands with execution, he then pretended to let them go, and then he had them shot. A blind drunk raised the town to fight. He talked and talked and drank and drank and kept smacking his drummer boy guide on the back of the head. There was the firing of blunderbusses and muskets into the air, pork crackling and pig face was eaten, and tea and sweets from Morocco were given away. To close the day Catalunyan irregulars attacked the French camp on the edge of town. Pitchfork and reaper armed militia came down a large cliff on ropes while drummers and blunderbuss armed troops came up from a creek. They seized a French canon, then battled the retreating French into the centre of the old town. The air was full of smoke and rolling barrels and flung sandbags. There was fake blood. And to the crash of blunderbuss and with the smell of sulphur the last French soldier was pitchforked to death where the earlier executions had occurred. 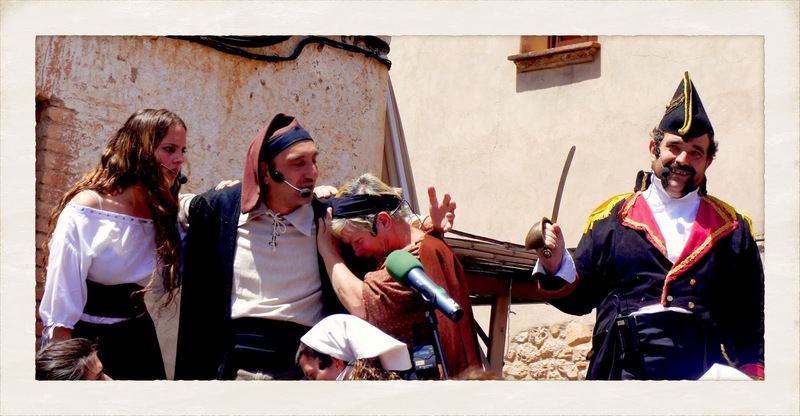 Sunday is a recreation of events on 6 and 14 June 1808. 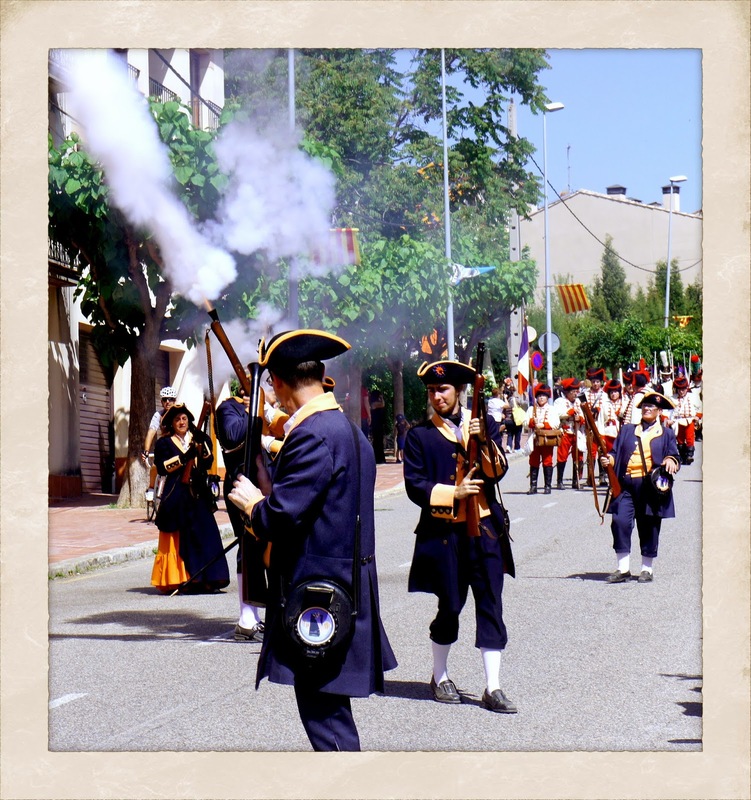 On both days much smaller forces from Catalunya defeated the invading French military. During this week gone I’ve managed to finish one poem, and with Amanda’s help, give the manuscript a restructure and edit. This Tuesday I’m headed to Barcelona to visit The Joan Miró Foundation and the Museum of History of Catalunya. I’m still listening to the Transistor soundtrack, but mixing it up with the music of FTL, Pitiri 1977 and Samorost 2. All the photographs are by Amanda Coghlan, except the one of a postcard.